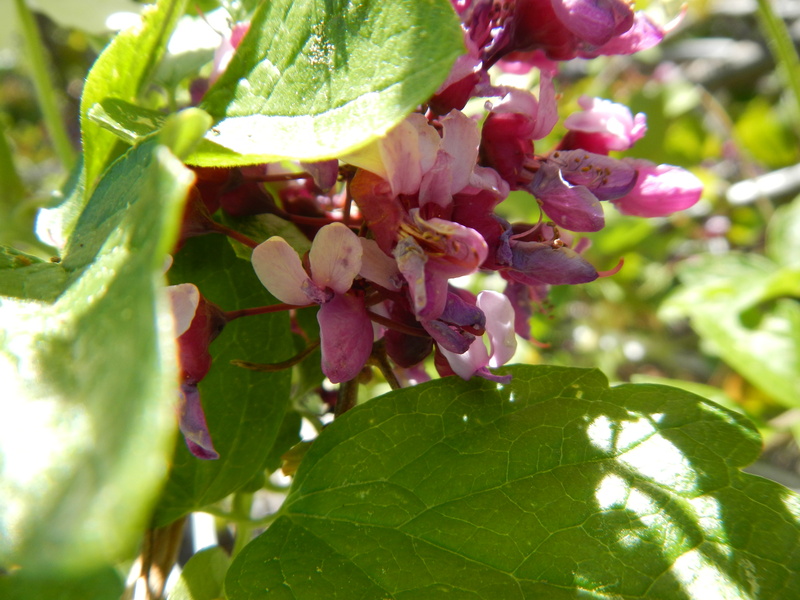 Cercis occidentalis is a shrub in the pea family. Like most pea flowers, they are described as papillonaceaous because the broad upper petal is reminiscent of a ‘papillon’ (French for butterfly). In a pollinator-friendly configuration, this upper petal attracts insects, while the lower petals act as landing pads and protect the stamens and stigma. Redbud’s magenta flowers are first to emerge in the spring, followed by broad reniform (kidney-shaped) or cordate (heart-shaped) leaves. In the photo below, new leaves are just beginning to emerge atop the inflorescence. When in fruit, this species will produce pods that are several inches long.